We pride ourselves at providing different packages which express your feelings. Our expert florist arrange flowers in a most beautiful way and our efficient home delivery,same day delivery and midnight delivery service make sure that your loved ones get their gifts on time.Our Shining Combo is one of the many special occasion packages which make a special day unforgettable. 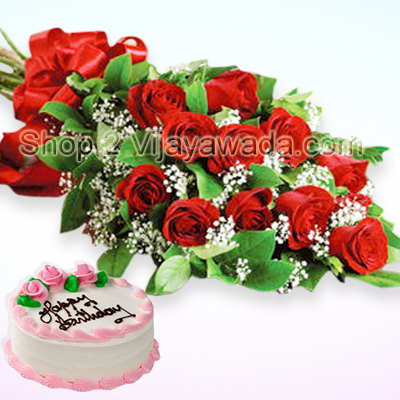 Shining Combo is a combination of 15 long stem Red Roses bouquet and 1kg cake. This sweet gift is ideal for any occasion especially birthdays and anniversaries.